Your income is the foundation for the quality of your life, from supplying the basics or food, shelter and clothing -- to those things that make life enjoyable and meaningful. Under California and United States law, no one may refuse to hire you, deprive you of advancement or fire you due to a discriminatory bias. 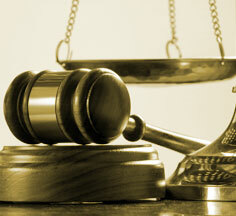 I am Stephen Jaffe a San Francisco employment trial lawyer with over forty years of experience. I represent only employees, never employers. If an employer has failed to hire you, failed to promote you, or wrongfully discharged you, you may be entitled to money damages and other relief. Contact my office to discuss how I may be able to help. I am committed to offering each of my clients the attention and resources necessary for successful resolution of their case. I do not charge a fee for an initial consultation. Many employee claims are resolved through alternative dispute resolution (ADR) methods, such as mediation or arbitration. This is also true of cases where the employer is a government entity. However, some cases will inevitably go to trial. In these circumstances, you can rely on my extensive experience in the courtroom. To find out what your rights are and how to best protect them, contact me at 415-618-0100 to schedule an appointment. I understand that your time is valuable. To expedite the process, you may wish to complete my intake questionnaire prior to my first meeting. The Jaffe Law Firm Employment Lawyer, represents wrongful termination and retaliation, unlawful discrimination, sexual harassment and employment contracts and separation agreements clients in Oakland, Palo Alto, Walnut Creek, San Jose, San Rafael, Martinez, Redwood City, San Francisco County, San Mateo County, Santa Clara County, Alameda County, Contra Costa County, Marin County and the Bay Area, California.